Bollywood Actress Esha Deol delivered a baby girl at Mumbai’s Hinduja Hospital on the early hours of October 23rd 2017. Daughter of Bollywood actors Dharmendra and Hema Malini, Esha married Bharat Takhtani in the year 2012 at a private ceremony held in Juhu, Mumbai. After five blissful years the couple welcomed their first child. 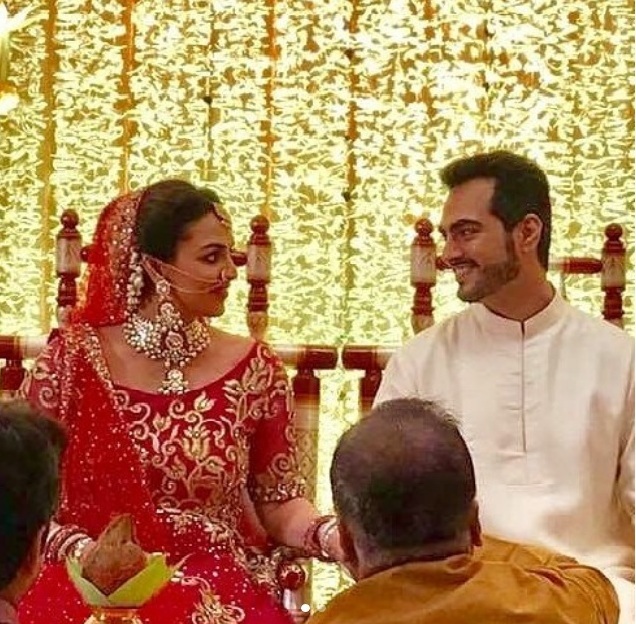 Recently Esha Deol had an intimate traditional Sindhi godh bharai ceremony for which she dressed up in a lovely custom made outfit designed by Neeta Lulla. Esha Deol made her debut in Bollywood with “Koi Mere Dil Se Poochhe” and was praised for her performance. She also worked in films like “Dhoom”, “Yuva”, “Na Tum Jaano Na Hum”, “No Entry”, “LOC Kargil”, “Main Aisa Hi Hoon”, “Ankahee”, “Kyaa Dil Ne Kahaa” etc. Esha Deol won best female debut award for the film “Koi Mere Dil Se Poochhe”.